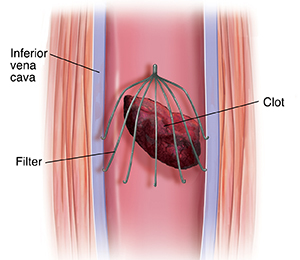 Because medical devices are often put to market before they’ve had extensive clinical trials and because many physicians prescribe this minor surgical intervention rather than taking the time and care to advise on other options, IVC filters can cause many problems for which legal representation may be sought by patients. As an attorney, Mobile, AL we are here to help you determine if your injury or illness may be related to your IVC filter and what you can do to recover – both physically and financially. The surgery is quite rapid and should be done by a practiced radiologist. It is appropriate to ask questions about their experience doing this type of procedure. Right away, an IV line will be placed and you’ll be given sedation to make the procedure more pleasant. If there is hair at the incision area, it may be shaved before numbed with a local anesthesia. The doctor will make a small incision to access a major vein – into which a long tube will be inserted. Using continuous x-ray imaging, the tube will be moved up into the filter and x-ray dye will be sent through the tube to clearly show the vessel on the x-ray monitors. The filter will be released into the vessel which will expand and attach. The catheter will be removed and the incision closed and bandaged. Afterwards, you should spend hours in a recovery room while the sedation wears off. Your vital signs will be monitored and you’ll be given additional pain medication should it be necessary. In most cases, you’ll go home the same day if driven by a family member or friend. Beyond some nausea and confusion from the sedation, some pain at the incision site, and general sleepiness, you shouldn’t feel much of a difference while recovering. There are many potential risks inherent with any surgical procedure, these may include infection, allergic reaction, and mobility issues. A surgical procedure may also result in some secondary risks of spending time in a medical facility. These, of course, depend upon the health of the patient. One issue with medical devices like this one is that those sick enough to need the IVC may be too sick to undergo surgery. In these cases, a blood-thinning medication may be prescribed to the patient to minimize their risk of a pulmonary embolism until he/she is well enough to undergo the surgery. Of course, taking blood thinners is also potentially dangerous as many elderly patients may have thin skin or be prone to falling – both of which can result in great blood loss in the event of a scratch or fall. It is important to discuss with the doctor different risks with having or not having the surgical filter placement and weighing these before making an informed decision. If you are ever feeling pressured by your doctor into something with which you are uncomfortable, it is perfectly reasonable to seek a second opinion or ask difficult question.